Pressure controller for refrigeration systems designed to control suction (compressors) and discharge (fans) pressures. It is possible to connect 4 pressure transducers and 6 temperature sensors for up to 2 independent refrigeration groups (2 suctions and 2 discharges). It offers a number of control modes through 26 digital outputs, 4 analog outputs and 5 digital inputs. 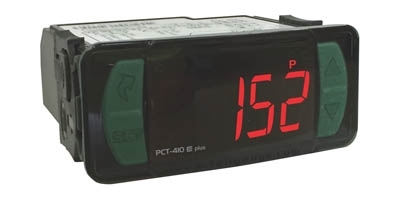 The last 4 digital outputs can be set for alarm triggered by temperature, pressure or through the digital inputs, which can also be associated to night setpoint mode. Using a customizable gas curve in addition to pressure and temperature readings, the PCT-3001 plus is capable to measure the sub-cooling and overheating of the refrigeration system. The kill zone feature enhance energy savings while optimizing compressor running time. 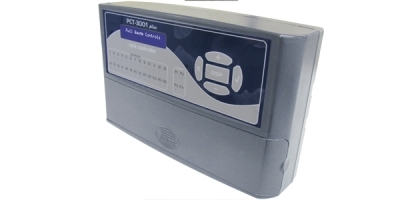 It has a serial communication port to connect with Sitrad management software.The product includes 2 pressure transducers and 2 temperature sensors.